A fuming resident who threatened to clamp a police car which was parked outside their home has been shamed on social media. The angry note was left on the windscreen of a squad car on Sunday (7/4) as officers attended a burglary at the home of a 94-year-old victim. Officers had just arrested the suspect at the house in Shirley, West Mids., when colleagues noticed the letter on the car. Police were so stunned they tweeted a picture of the scrawled note, along with an explanation of why they had parked where they had. 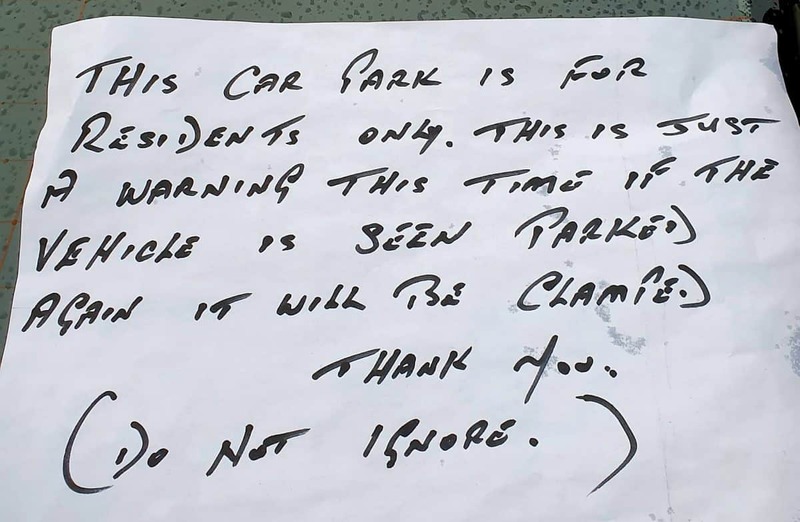 The note read: “This car park is for residents only. “This is just a warning this time if the vehicle is seen parked again it will be clamped. 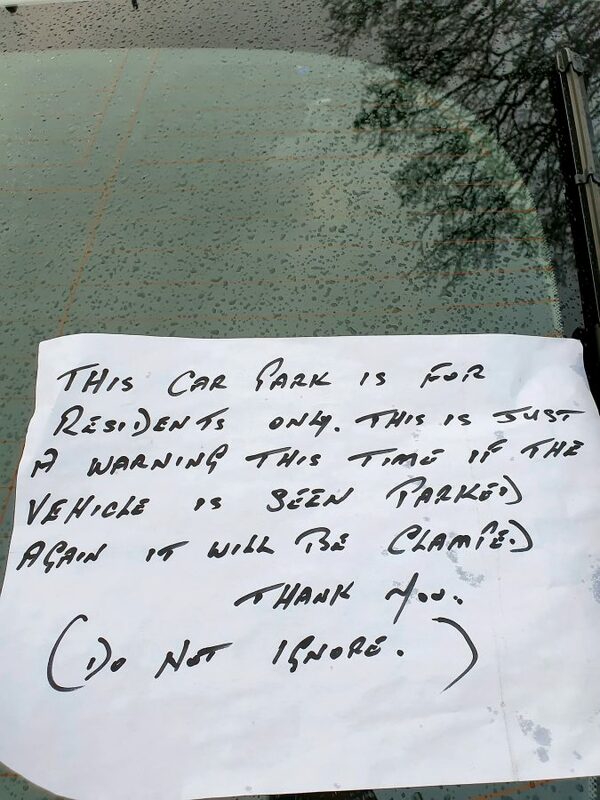 Officers posted the note on social media and claimed their car was parked correctly. West Midlands Police Force Response tweeted: “Solihull B-Unit attended reports or a distraction burglary in progress in Shirley. “As officers arrived the offender opened the door of the address and was swiftly arrested. “We then spent some time completing an investigation and safeguarding the 94-year-old victim. “This meant we had to park our car in a parking space. “It was parked professionally and considerately. “Unfortunately not all members of the public appreciate the good work we do. When at incidents we do have to park our car. Social media users said this was “disgusting behaviour” from the person who left the note.